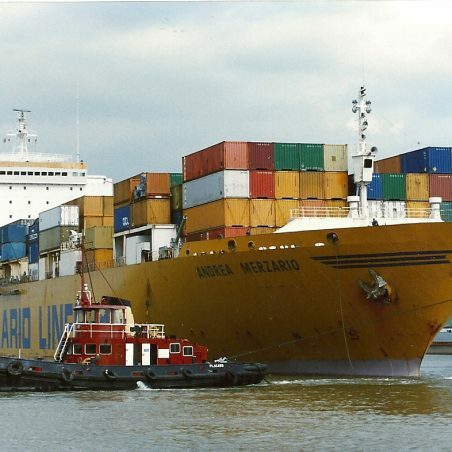 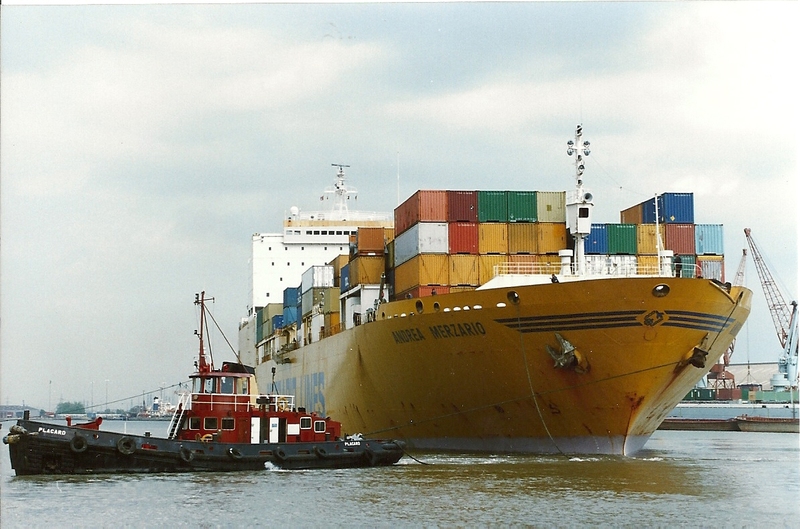 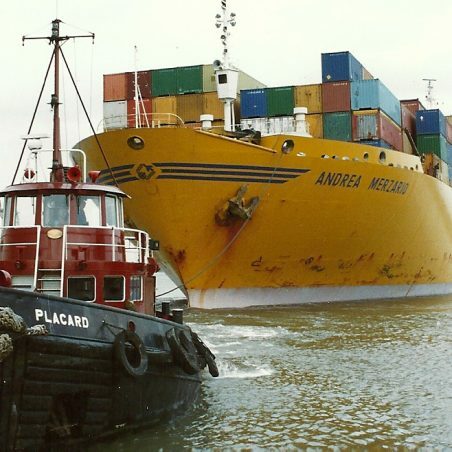 The container ship ANDREA MERZARIO entering Tilbury docks on 1/6/87. 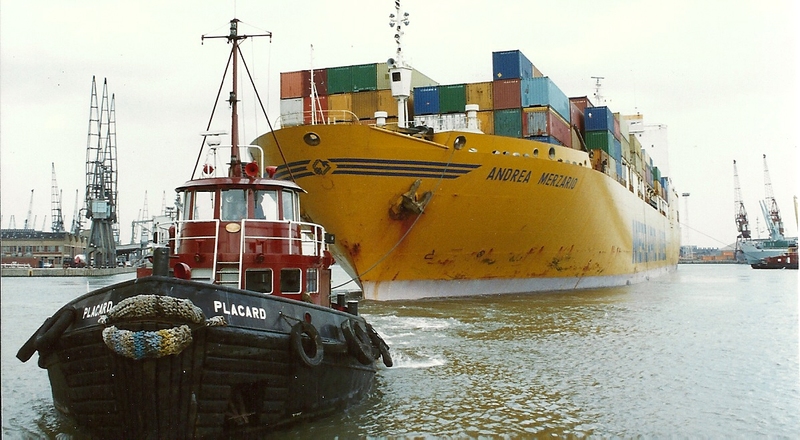 She is assisted by the PLA tug PLACARD. 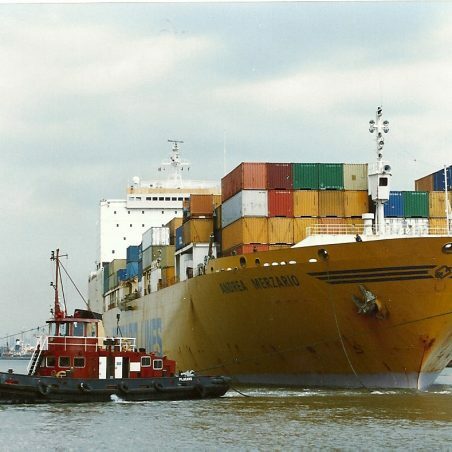 She was built in 1980 at 21,307 grt. 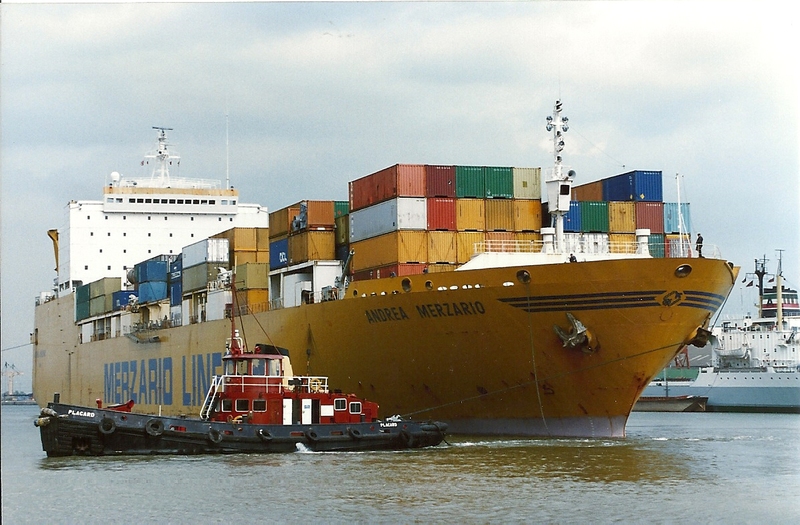 She had two previous names : SAUDI QASSIM and SAUDI SHAQRA being scrapped in 2002.